Since it’s initial launch in 1979, Göteborg Film Festival has grown to become the largest film festival in Scandinavia. During a period of 10 days, from January to early February, hundreds of films from dozens of countries are seen by over a hundred thousand attendees. According to organizers, the purpose of the festival is to bring the world to Gothenburg, but also to act as a springboard for Nordic films to reach a wider audience. This year, one particularly interesting feature has caught global attention. The 2019 edition’s, perhaps most unique event, takes place during the screenings of Aniara, a sci-fi film inspired by Nobel Prize-winner Harry Martinson’s epic from 1956. The film is set in a bleak future, right on the cusp of the Earth’s destruction due to nuclear wars and environmental pollution. Human survivors are being transported from Earth to their new home on Mars when the space shuttle is forced off course by an asteroid. Eventually, the passengers are faced with the realization that they will be forever lost in space. The festival worked with the directors of Aniara, Pelle Kågerman, and Hugo Lilja, to create a viewing experience unlike any other. 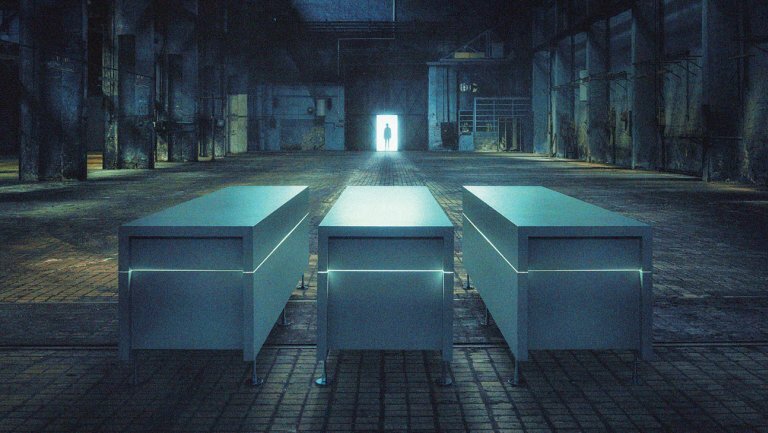 In order to amplify the feeling of claustrophobia and anxiety expressed in the movie, a select few get to view the film from the inside of a custom-made sarcophagus. There are a total of eight sarcophagi, each of which is 210 cm long and 60 cm wide and equipped with screens and speakers. They also have air vents as well as panic buttons in order to prevent the experience from becoming too realistic. Visitors at Göteborg Film Festival will have the chance to attend one of 33 screenings of Aniara between January 27 – January 31.